Oh, sensitive reader. Don't be offended by the latest installment of Charlotte Squawks. Sure, it picks at the absurdities of our lovely city via parody, but it does so with humor — and who doesn't like a good laugh? 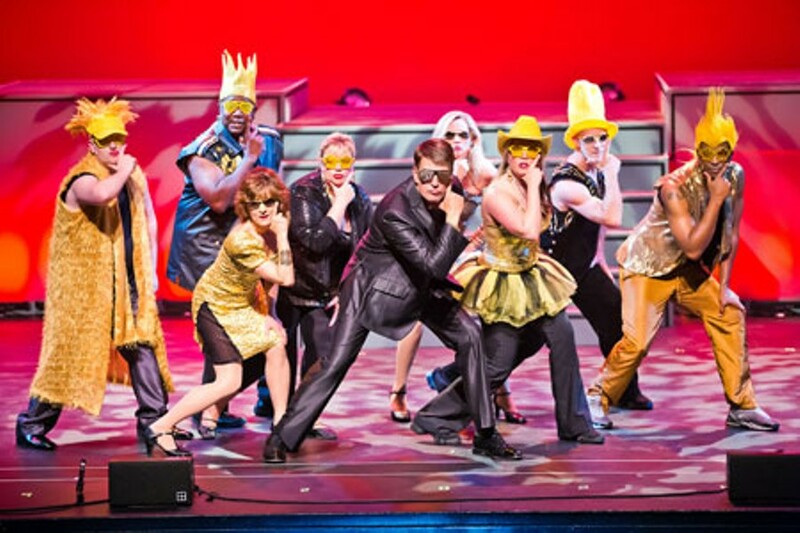 In its 9th year, this musical revue is brought to you by writer/lyricist/producer Brian Kahn and WFAE's Mike Collins, who serves as narrator/producer. It started in 2004 as a fundraiser for WTBI, but its popularity expanded its longevity. 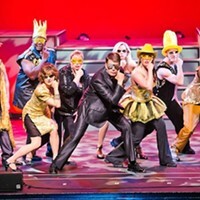 After two years (in 2006), the show was picked up by Blumenthal Performing Arts Center and has since continued yearly runs with the venue. "It really kind of filled a niche for us because it's a show that we not only produce, but we use all local talent for it — all of the performers, musicians, creators, designers and people who work on the show are local," says Douglas Young, Blumenthal's vice president for programming and a producer for the show. "In addition to everything else that we do, part of [Blumenthal's] role and mission is to nurture the local arts community, and we do that in a lot of different ways, but with Squawks we're able to be a little more hands on and really give the local talent a chance to shine." This year's show, Ninesense, touches on national topics like Carnival Cruises' continuous mishaps, Hostess' demise, gun control issues and motherhood. There will also be comedic TV news-style segments and video components that mimic popular commercials. As far as our fair city goes, performers will highlight the 2012 Democratic National Convention, penetrating matters related to the steamy David Petraeus/Paula Broadwell scandal, ousted county manager Harry Jones, Pat McCrory's rise to governor, the recent controversy over Charlotte's airport, and the buzz surrounding our local sports teams. The venue warns of "adult language and content," so come prepared for some dirty surprises. And don't be surprised when you hear a parody of PSY's horsey sensation "Gangnam Style" (see photo).